Fold over business cards are also great as invite cards to promote events or organizations. Perfect to leave around town. 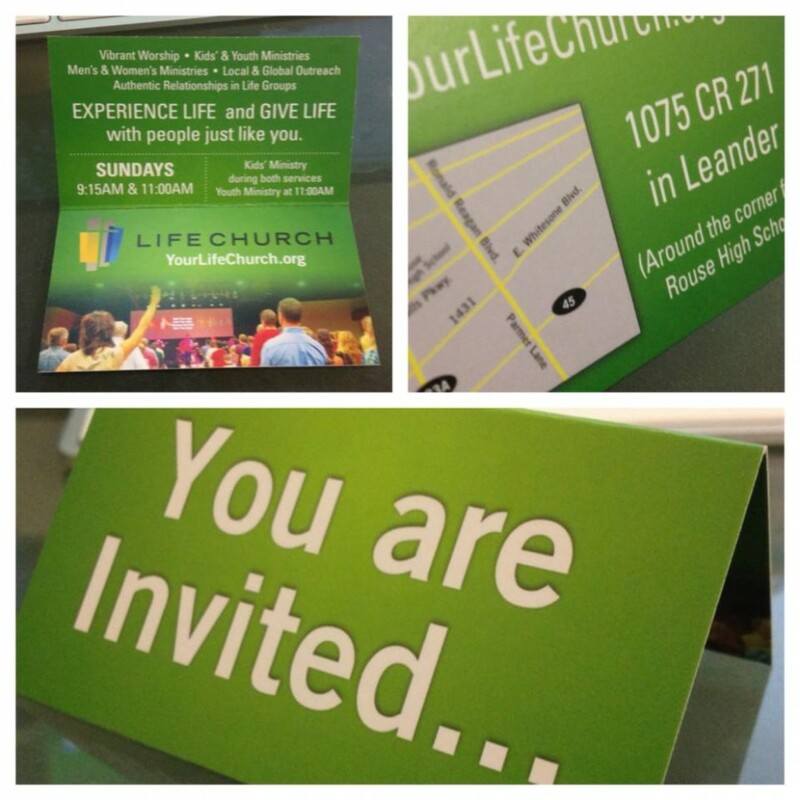 Here’s some we just did for Life Church.